The Havana International Fair was the backdrop for an announcement this week from Virgin Voyages. The line’s first ship, Scarlet Lady, will call on Cuba during its 2020 inaugural season. The decision reflects the extremely high interest in Cuba as a destination. Virgin Group founder Sir Richard Branson is certainly a fan of the Caribbean nation. “Virgin Atlantic has been visiting Cuba for 13 years, and I cannot wait to see our iconic Scarlet Lady gleaming in the Havana Harbor. Havana is the perfect place for our sailors to go and experience a city that exudes an irresistible energy and passion,” said Branson. Virgin Voyages will sail to Cuba from PortMiami. Itineraries will include an overnight stay in Havana. Shore offerings will comport with the people-to-people regulations currently in place by the US government. Specific details about shore excursions will be available in 2019. The president of Cuba Educational Travel, Collin Laverty, noted that Virgin Voyages will make a distinct imprint on the country. And vice versa. 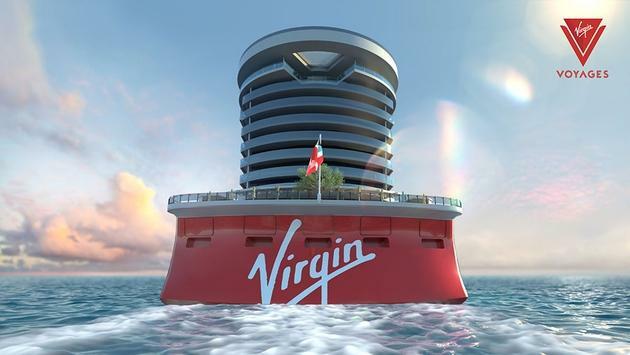 Virgin Voyages was in the news earlier in the week, as well. Italian shipbuilder Fincantieri revealed plans for a fourth newbuild.